Zuleika Books & Publishing is delighted to announce the forthcoming publication of Coming out of the Black Country, a memoir by Reverend Stanley Underhill, a resident of the Charterhouse almshouse in Islington, which will be available in-store and online from Friday 5th October 2018. Coming out of the Black Country is at once disturbing and inspiring: it is a powerful portrait of past social hardships and an insightful and personal memoir of growing up in the highly industrialised, economically impoverished region of the Black Country in the 1920s and 1930s. It recounts how Stanley Underhill fought against a constant onslaught of enshrined cultural ignorance that cast a heavy shadow, like the ‘satanic mills’ that dominated the landscape of his childhood, and where prejudices that encompassed class, homosexuality and masculinity were the inescapable norm. It tells the story of a man whose sexuality led him to endure social ostracism, conversion therapies– including electro-shock therapy – and Freudian analysis: but it is also the story of a man who comes to terms with himself, finding love, friendship and tolerance. Reverend Stanley Underhill was born in 1927, in the Black Country. When he was very young his family was plunged into poverty. He left school on his fourteenth birthday without any academic achievements and became a compositor at a printing works in Birmingham. In 1945, he was called up and served in the Royal Navy as a Naval nurse. After demobilisation in 1948, he studied and qualified as an accountant and practised until 1976, when he joined the Anglican Society of St. Francis. After five years with the Society he was ordained and served in the dioceses of Lichfield and Canterbury and finally as a Chaplain in the Diocese of Europe. 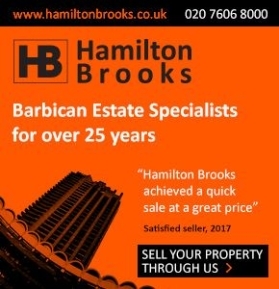 In 2003, he became a Brother at the London Charterhouse where, in his mid-eighties, he began writing his autobiography, Coming out of the Black Country. Coming Out of the Black Country is a story of survival, forgiveness, and a testament to the power of personal faith and love. 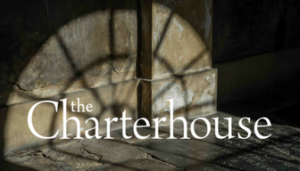 For further information, review copies, interviews or image requests please contact Tom Perrin (tom@zuleika.london) or Charlotte Borger (charlotte.borger@thecharterhouse.org).